I have read about many of the new features in SharePoint 2010. I would like to actually see some of them. The beta version of SharePoint 2010 has been available for months. Recently I had a chance to take a look under the covers and find some interesting new features. The first thing I noticed is that there has a been a concerted effort to make the menus more graphically based, and to provide dynamical navigation options for administrators to select various options. 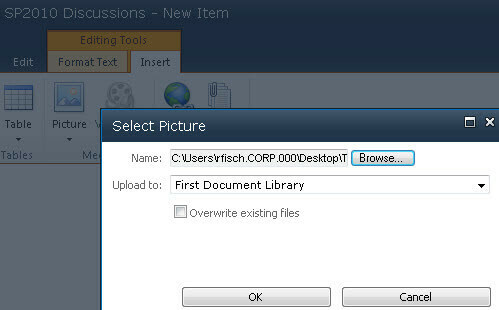 The picture below shows the standard "Create" options, when adding a new SharePoint object. Notice the "filter by" options on the left. Whenever you "create" a new list or other SharePoint object, the interface shows an animated spinner until the object is created. Below is a screenshot while creating a new sub-site. I am disappointed that Microsoft keeps "Members" as the group name for the default group of users getting "contribute" permissions. Here's my recommended correction from a previous article. 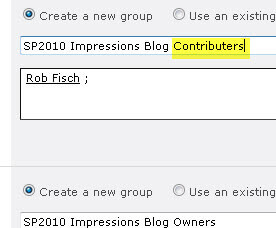 SharePoint 2010 blogs have a new look, while much of the functionality remains the same as WSS3/MOSS2007 blogs. The categories for blogs can be updated on-the-fly (shown below). From the "Create" menu, I have objects filtered by "Library". There are a few more library types to choose from. 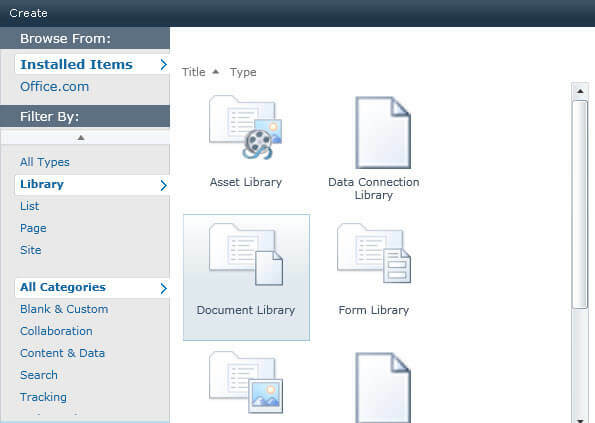 Below is a thumbnail graphic of one of the document library screens. Click on the graphic for a high resolution peak at some of the options. When creating SharePoint 2010 workflows from a web browser, there are some refreshing enhancements to the available options. Notice the option to require "Manage Lists Permissions to start the workflow". This enables workflow designers and SharePoint Administrators to be more granular with controlling permissions. These workflow options are a welcome addition to the web browser workflow creation wizard. For better or worse, Microsoft removes the old "breadcrumbs" navigation indicators, instead, adding a little icon. When clicked, navigation hints are offered in a hierarchical (indented) structure...which is a little more intuitive and takes up less screen real estate (but a little trickier to find at first). 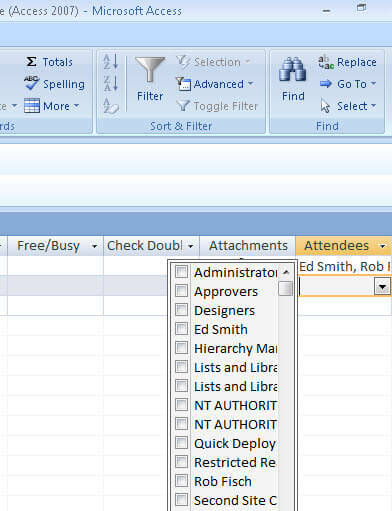 Every list and library menu offers increased visibility and functionality for integration options to and from other Microsoft Office products. 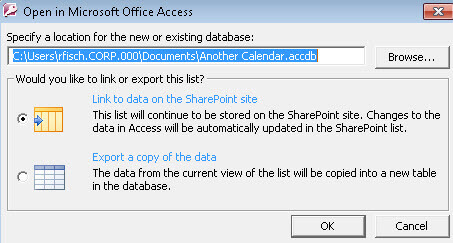 I tried linking a SharePoint calendar using the MS Access option. In previous SharePoint versions, whenever referencing images from a Content Editor Web Part or enriched multiline text field, there was no integrated facility to add image files to working document libraries. SharePoint 2010 offers the ability to for this to work on-the-fly, a nice feature enhancement. Also note that many of the form windows now pop-up in front of a main screen (instead of taking over the browser window completely...leaving the user to constantly wonder where they were.) This is one of my favorite usability enhancements to SharePoint 2010. There are many, many new features to look at. More than I can fit into this article. This was just to share a little of what is under the hood of what I saw in SharePoint 2010.